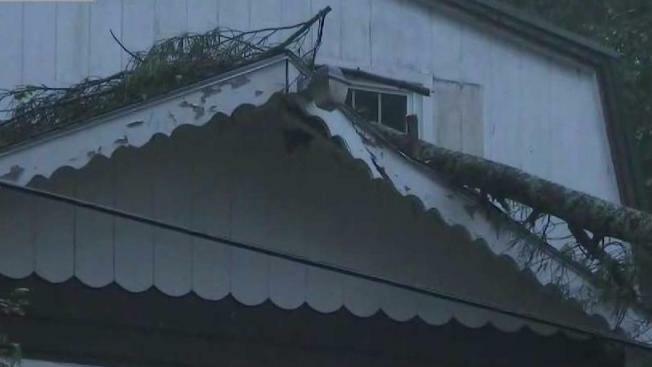 Friday night's storm caused widespread damage, with trees falling on houses, downing power lines and blocking roads. 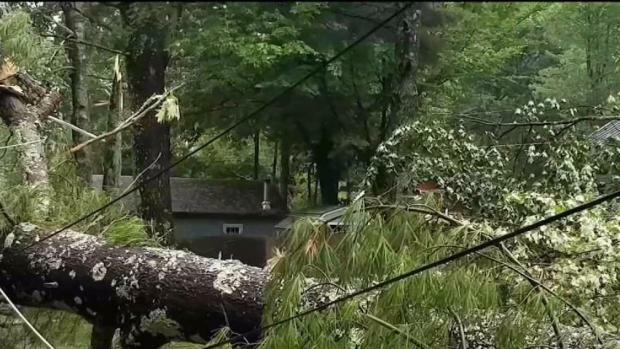 Major cleanup is underway Saturday in Gilmanton, New Hampshire, one of the areas hit hard by Friday's storms. The area may have been hit by a possible tornado. Widespread damage near Sawyer Lake includes trees on houses, on power lines and blocking roads. Cleanup crews started on the majority of the cleanup Friday night, but one of the biggest issues is that trees blocking driveways made it difficult for people to get back to their homes. Downed power lines also made it a dangerous situation. While things are getting back to normal, the memory of the storm is etched in peoples' minds. "We just saw this wall coming out at us, and we just screamed, 'Come on, get down to the basement,'" one Gilmanton resident said.